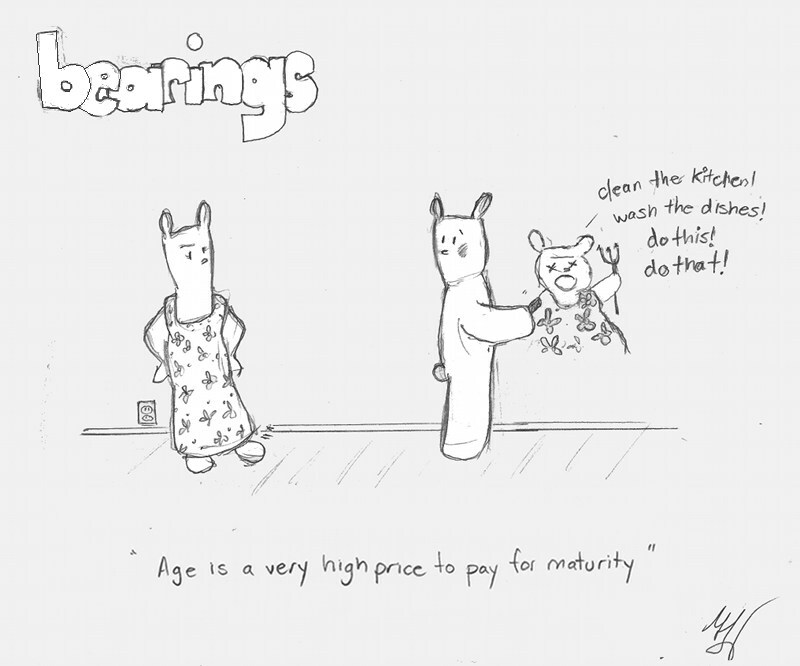 This entry was posted in Bearings Cartoons, Fluff & social commentary and tagged age and maturity, age is a high price to pay for maturity, bearings cartoon, bearings comic, maturity cartoon, philosophy webcomic, simon and finn by simonandfinn. Bookmark the permalink. Ha, I’m with you on that! Perhaps the day we like mature cheese will be the day our teeth sleep next to us.